Guti's Bible has torched a storm in the Christian community with others feeling he is bordering around heresy while others defend him saying there is nothing wrong he is just adding his commentary and not changing verses. 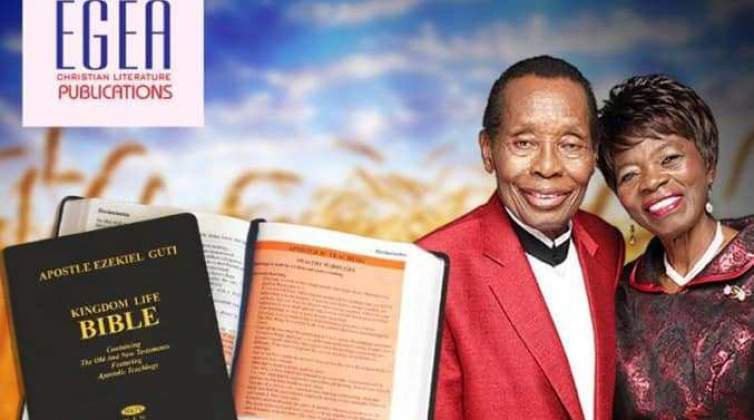 One Nyasha Mafresh said, "I used to respect this man but idea of writing his own Bible is a no for me." Simba Mazorodze defending the Bible saying, "There are loads of Bibles on the market by preachers. I personally see nothing wrong with what Guti has done. It's a NKJV Bible with teachings and notes by Guti. To say that he has written his "own" bible is a misrepresentation. It's clear that the Bible contains some extra material not verses from Guti. His sermons and commentary on some verses to make it easy for you to understand."